Jagga Jasoos Movie Review: Ranbir's undeniable gifts power the film. But does it hold its avowed course over its runtime? Not quite. 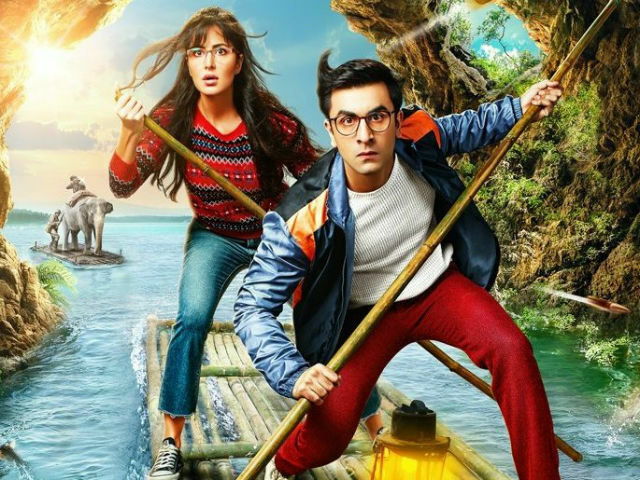 A breezy, audaciously jaunty ride through the misadventures of a stuttering, bumbling boy-detective in search of his missing foster father, Jagga Jasoos has memorable madcap moments stemming principally from its free-flowing mix of music, dance, situational and slapstick comedy and wildly improbable action. Even if this film might feel like an epic misfire at times, Anurag Basu's deliciously zany, ambitious adventure drama, when it is on song, has an oddly bewitching quality. From all the references that Jagga Jasoos makes to Feluda and Sherlock Holmes, to Subhash Chandra Bose's daring secret forays into the Northeast from across the Burma border, to fictional Kenyan towns called Shundi (the land of the benevolent king in Upendrakishore Ray Chowdhury's story and Satyajit Ray's film Goopy Gyne Bagha Byne) and Tiktiki (Bengali for lizard, a slang for a private eye), it is clear that the film is Basu's tribute to the tales that he grew up with. 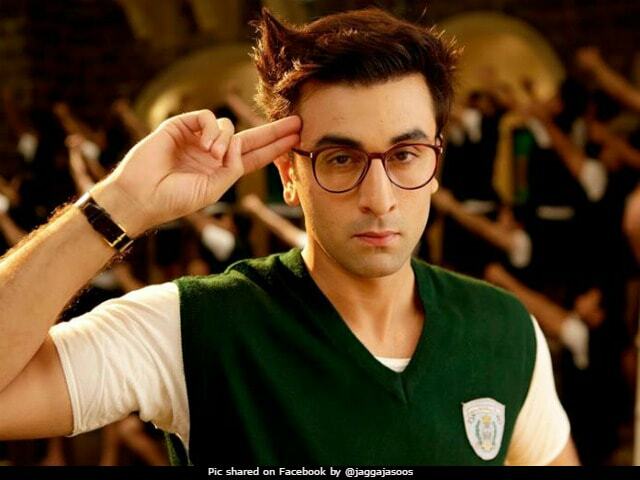 Therefore, although Jagga Jasoos is an out-an-out fantasy that is, like Ray's Goopy-Bagha adventure comedy series, aimed at children but couched in the tale is an overtly anti-militaristic message. It might not get across to everybody in the audience, but the film is bound to resonate at a personal level for those who, like the writer-director, grew up on a staple of classic detective stories and lively Hollywood musicals. Lead actor Ranbir Kapoor's undeniable gifts and amazing spontaneity lend the film its high level of energy and also powers it back to a semblance of stability when it looks in danger of keeling over the edge, especially at points where it overreaches. Indeed, Jagga Jasoos does not hold its avowed course all the way over its nearly three-hour runtime. It wanders off rather frequently, leaving the audience in an extended state of befuddlement. But when it returns to its chosen track, which kicks off with the 1995 Purulia arms dropping case and careens through an espionage operation gone wrong and a pursuit of the world's most dreaded weapons smuggler, it is fun. Thanks to the film's eclectic soundscape and peppy musical numbers - there are plenty of them because the male protagonist communicates mostly through the medium of impromptu song - and the bright and varied colour palette used by director of photography S. Ravi Varman, Jagga Jasoos is never less than entertaining and dazzling. If only it had greater coherence and consistency as a fable for our troubled times, it would have been an unqualified triumph. It isn't. And that is a shame because in terms of its conception and execution the film does exude a great deal of warmth and joyful abandon. It is intermittently infectious all right and that might prompt the audience to overlook some of the glitches that stare us in the face. Jagga, born with a speech impairment, has a jagged childhood. He spends the first few years of his life sleeping under the staircase of a maternity hospital, having lost his parents in an accident. He does not utter a word until 'Tutti Futti', the man who raises him (Saswata Chatterjee, Bob Biswas of Kahaani, here in a role that extends well beyond the length of a cameo), exhorts him to use the right side of his heart - the mad, creative side - to sing out his innermost thoughts. The diffident boy is left in a boy's hostel in Ukhrul, Manipur when the goofy guardian has to leave on a shadowy mission. In the school, Jagga earns fame and popularity by solving the mystery behind the suicide of the English-language teacher, who jumps off a clock tower. On every birthday of his, the boy receives a videotape that fills him in with the details of his absent foster father's past year without ever revealing the latter's whereabouts. Then one year, the birthday tape does not arrive... Jagga decides to do something about it. But before that can happen, Shruti Sengupta (Katrina Kaif), an investigative journalist educated in London and now working in Calcutta, comes calling because she has stumbled upon an arms smuggling racket thanks to her links with former Manipuri insurgents. One of them is killed on a fairground giant wheel and Jagga has to jump in to get the pretty visitor out of trouble. Katrina Kaif, as the mishap-prone scribe, is hard-pressed to match strides with Ranbir, but the free-flowing nature of the yarn allows her enough opportunities to catch her breath when she needs to and continue to saunter along for company. It is just as well that she plays second fiddle, letting her co-star do all the heavy lifting. He carries the weight of the film without ever letting the strain show. Who else but the risk-loving Ranbir would have slipped so effortlessly into the skin a character who has very few spoken lines?